Designers hire models that fit “their look” and that look often looks like something you can hang on a hanger or put on a standing manikin; it does not include wheels. 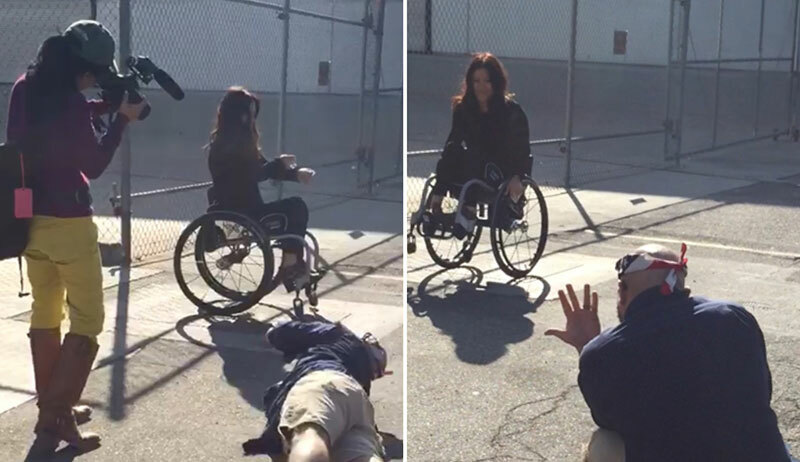 Filmmakers hire actors that fit “their role” and if the role includes disability, it is portrayed by an able-bodied actor. You will never see an actor with disabilities acting “non-disabled” in film. Models with disabilities are taking the push to be visible in media, on catwalks and in ads into their own hands by becoming entrepreneurs and creating their own opportunities to showcase their abilities. Wendy Crawford, founder of mobileWOMEN.org; Ginny Dixon, an award winning photographer; and Dr. Susan Solman did just that! They collaborated to create the Raw Beauty Project, which was inspired by another exhibit that they worked on together in 2006, in Miami, Florida. The Raw Beauty Project is an innovative arts project that celebrates women with disabilities, educating viewers to redefine perceptions and beauty, unleashing potential for all. This photography exhibit is a collaboration between photographers and women living with various types of disabilities that showcases their beauty, power and passion. The Raw Beauty Project made its debut on September 20, 2014 at ACA Galleries in New York City. Its second exhibition was organized by ambassador Monique Stamps in Charlotte, North Carolina on June 18, 2016. On September 17, 2016, the Project will exhibit again in Los Angeles, spearheaded by organizing ambassador and Push Girl Angela Rockwood. The Raw Beauty Projects is a non-profit and all the participants, including the models and photographers, are volunteers. Each event takes a year-long preparation and is funded through sponsors and donations. The day of the event, the photos are hung on the wall by photography director Ginny Dixon. Each portrait is accompanied by the model’s personal story so that guests can better experience what drives each model. Afterwards, the portraits are available to rent for corporations, organizations, community groups, etc. They are an impactful educational tool, breaking down perceptional barriers and creating awareness on how capable and talented woman with disabilities truly are. The goal is to raise enough funds from the Los Angeles exhibit, to be able to employ women with disabilities to grow the Raw Beauty Project and share the portraits with organizations that cannot afford the expensive cost of shipping. How did your career as model change post injury? 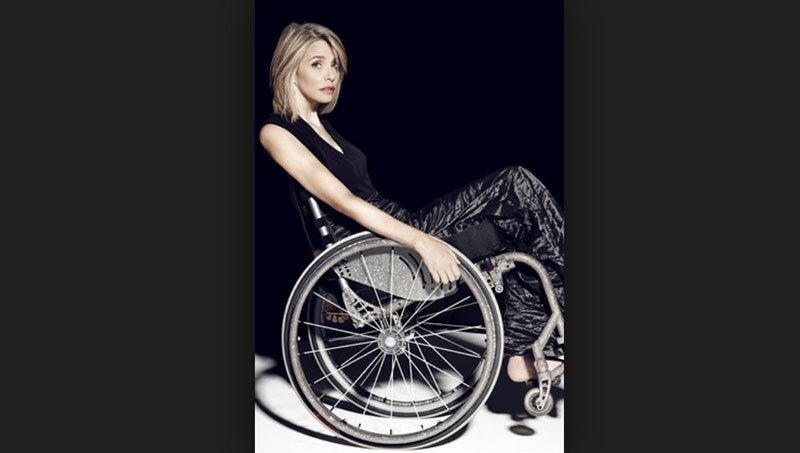 What, if anything, is different as a model with a disability compared to an able-bodied model? What has the Raw Beauty Project done to enhance your career and your mission as a model with a disability? The diversity in the model selection is what enhances both the uniqueness of the exhibit as well as the educational opportunity for the guests. We are all marketers now! The truth is, social media when used strategically over time, is the most powerful form of marketing. 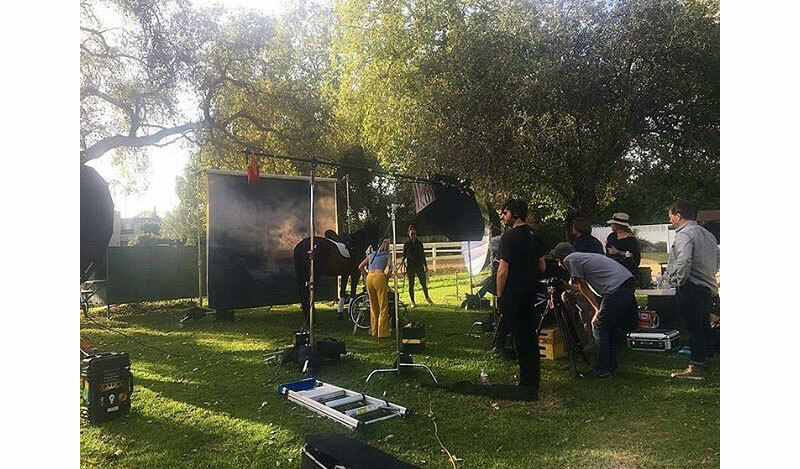 Each of the 20 models being featured in Los Angeles have their own social following, as do the models that exhibited in New York and in Charlotte. Through social media Raw Beauty Project is achieving its marketing goals as well taking its exhibit online, creating awareness globally. Raw Beauty Project NY was such a hit it was featured in major magazines such Oprah and on websites such as Today.com and ELLE.com. Thanks to entrepreneurs like Wendy, Ginny, and Susan, pioneering projects like Raw Beauty and all of the beautiful up-and-coming models with a disability, disability will no longer be ignored. Designers will soon be forced to make a change not just in their model selection for catwalks and ads, but in design as well. Filmmakers will be forced to follow suit. Even more powerful is the fact that the disability community is the fastest growing minority worldwide, thus the fastest growing market as well. It only makes sense for a change to finally be seen. If you would like to be a part of this important movement and back the Raw Beauty Project, please visit the Indiegogo crowdfunding page and donate today! To purchase tickets Raw Beauty Project LA on September 17 at the Paul Mitchell School in Pasadena, click here. Gallery reception tickets include cocktails, hors d'oeuvres, swag bags and much more.